Is there a better alternative to Pathology? Is Pathology really the best app in Developer category? Will Pathology work good on macOS 10.13.4? 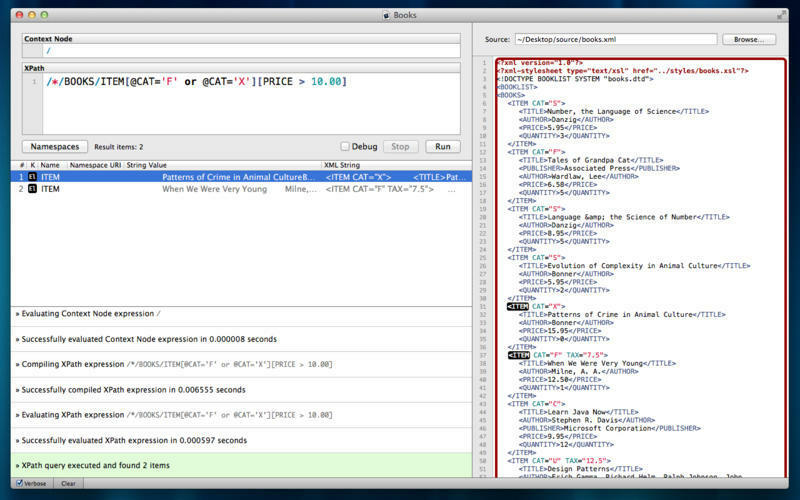 Pathology is a thoroughly Mac-native XPath debugger and visualizer written entirely in Cocoa. 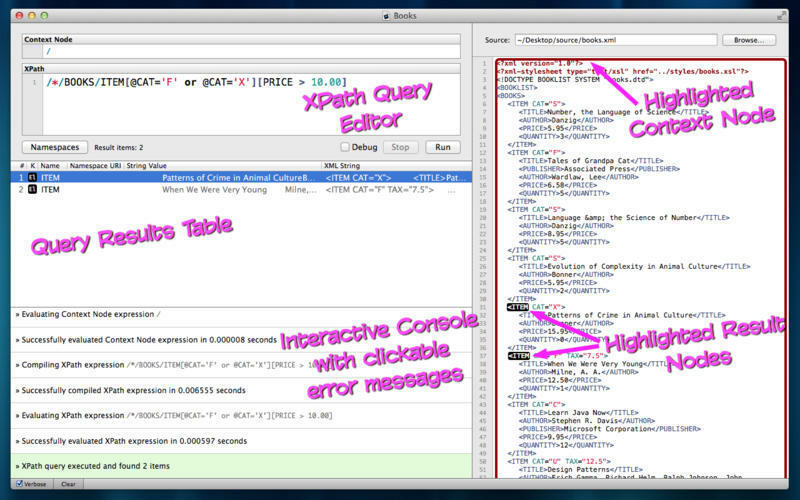 Pathology includes the innovative ability to debug your XPath queries by proceeding through them step-by-step. 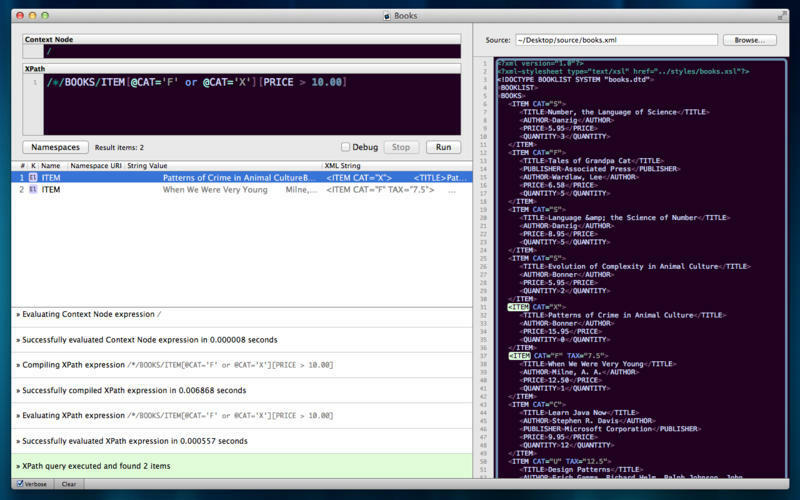 A full-featured XPath text editor with syntax highlighting, and code auto-completion. 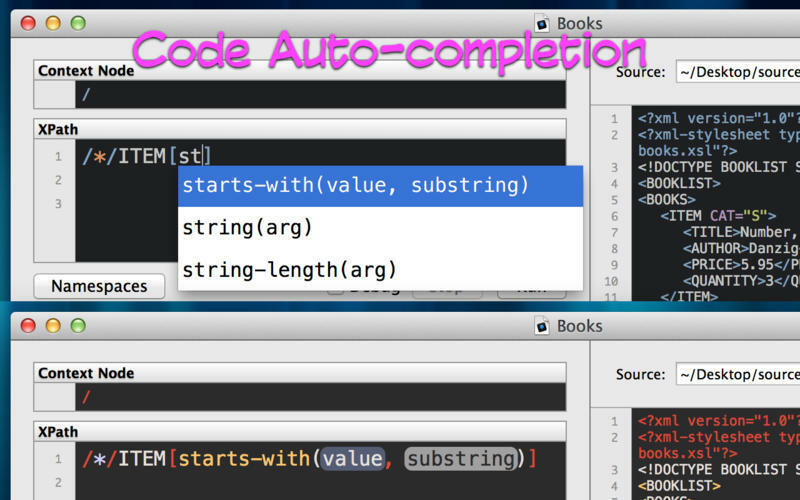 Several syntax highlighting themes to choose from (in Preferences). 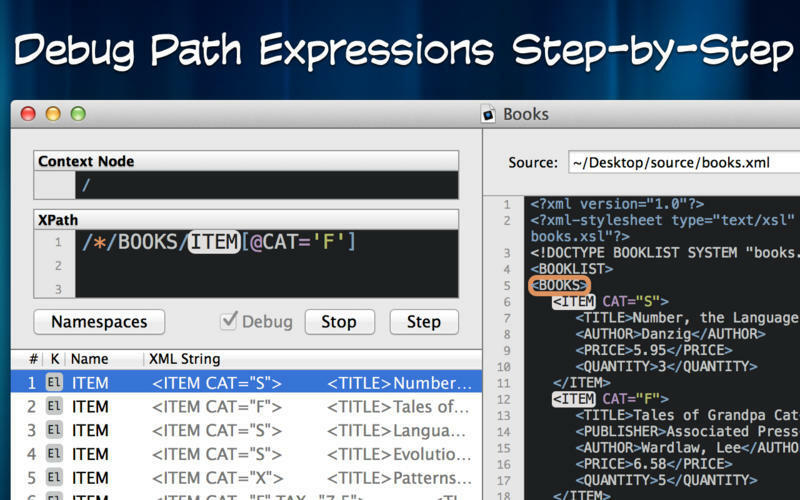 Check 'Debug' to slowly proceed through the XPath expression step-by-step, seeing the filtered result nodes each step of the way. Pathology needs a review. Be the first to review this app and get the discussion started! Pathology needs a rating. Be the first to rate this app and get the discussion started! An interactive console with click-able error messages that lead you right to the syntax or runtime errors in your XPath or source XML. Each Pathology window is a ".pathology" document that can be edited, saved and re-opened later. A query results table contains details on the selected nodes or items. Clicking on a row focuses the corresponding node in the source XML text. Query result nodes are also highlighted conspicuously in the source XML text. Pathology's XPath engine is powered by Panthro, an open-source implementation of XPath written in Objective-C that includes the ability to debug the evaluation of an XPath expression step-by-step.